At SmilePOS, we are dedicated to helping Thai restaurants by providing the highest quality Point of Sale systems. We help restaurant owners better manage their daily sales. We help waiters and waitresses reduce time spent on manual processes. We make it easy for kitchen staff members to read orders and communicate with the waiters and waitresses. For restaurants using handwritten tickets and manual systems, a POS program can reduce work and increase efficiency. We developed our own POS software for restaurants called SmilePOS. We focus on Thai restaurants, because we speak the language and enjoy talking with our clients. At SmilePOS, we exist to support the rapidly-growing Thai restaurant industry and the entrepreneurs who make it all possible. 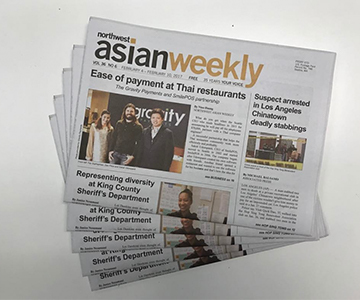 “There are a lot of Thai restaurants in the U.S., and we want to help them as much as we can and do business with them to create long-term relationships,” Udompanit said. “Gravity will set up an account and Smile will get all the equipment ready and go out to the business to do the installation. Gravity attaches the services in equipment and gets the business up and running in a matter of days, or a couple of weeks,” Wagner said.